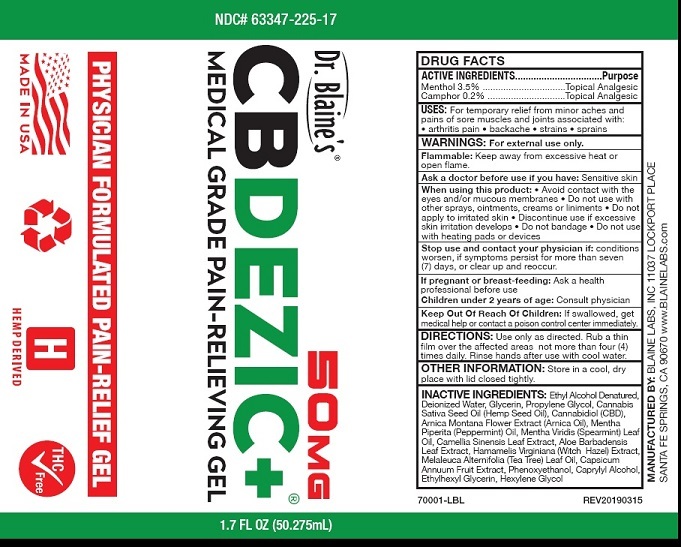 Proprietary Name: Cbdezic What is the Proprietary Name? Cbdezic with NDC 63347-225 is a a human over the counter drug product labeled by Blaine Labs Inc.. 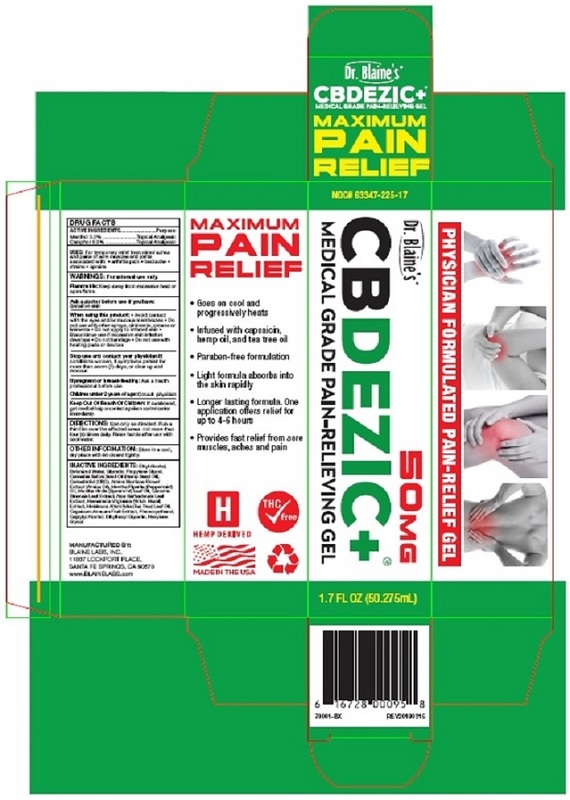 The generic name of Cbdezic is menthol, camphor. The product's dosage form is gel and is administered via topical form.